Klarity offers multiple patient immobilization solutions for breast treatment. Our systems offer increased stability while maintaining a higher level of comfort for patients. All Klarity breast and torso solutions are adapted to the needs of therapists, providing better working time and easy-to-use products. Please contact info@klaritymedical.com to learn more. 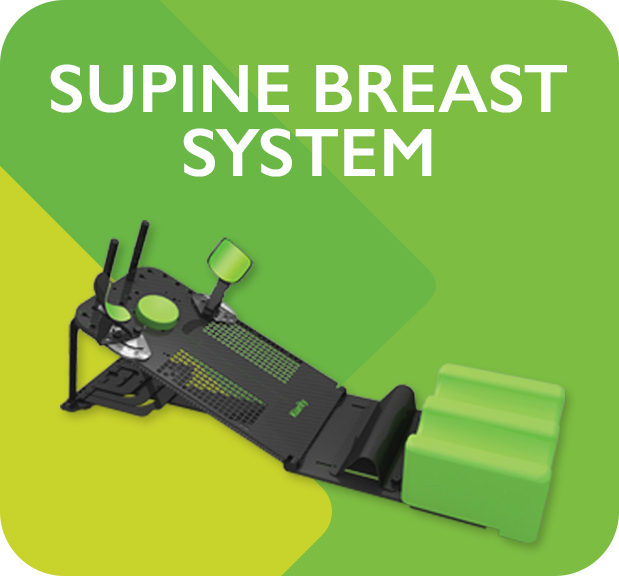 The Klarity Supine Breast System features sturdy arm and wrist supports and offers a full variety of customized positioning options, including lateral adjustment. The Klarity WingSpan™ Baseplate can be used alone, and it is also compatible with the Klarity Supine Breast System and the Klarity SBRT System. The Klarity Duo Align™ Fully Body System is a lightweight and adaptable positioning solution for head, shoulder, and full body placement. Made of strong and durable carbon fiber, the Duo Align™ System is fully indexable and compatible with both U-Frame and O-Type head masks as well as pelvic masks.